FIFA, FIFA and FIFA is in the air, the uproar of FIFA world cup 2014 is mounting like anything, seats are already booked, tickets have already been sold out, FIFA goodies are the top selling items around the world and people are just going nuts after the rage of football. These days everywhere you go, you will see people surfing for FIFA tournaments, chitchatting about FIFA world cup of 2014, and getting to come across its info from various possible channels. Every countryman is wishing the best for its country and keeping all eyes locked on the tournament’s schedule. Let’s see who is going to nail it, winning the final battle and tearing down the competent fellow opponents. It is a game but the enthusiasm is more like a war. FIFA world cup would be given a special spotlight and media coverage, Brazil is totally going to get immersed in the fervor. We can imagine the obsession over there and its glimpses would be telecasted live from the ground all through the tournament month. Publics’ sensations are attached to their team’s players and they do not want them to lose the match, spectators even get sentimental seeing the climax and anti-climax of the football matches. The footballers are given special limelight before the tournament because people love them and want to follow them. 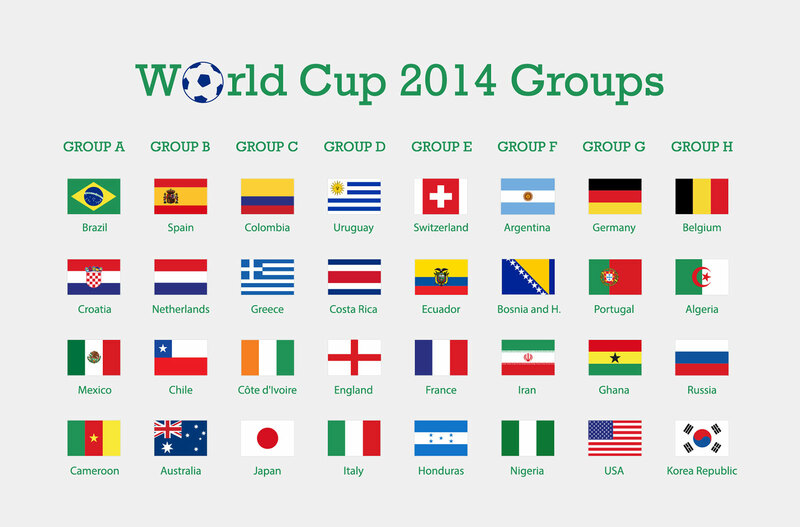 Today I am unfolding free Vector FIFA world cup 2014 teams’ country flags. You can use them in posters, buntings, tees, stickers, customizable gift items, country’s postcards or anything related to FIFA. It is the time to pray for our country’s victory, keep your fingers crossed and stay hooked to our blog, we will keep blazing up with FIFA’s posts for the football lovers because we are here to accommodate you. Hi Zee, Was just searching for the vector flag files for my website project, gonna use this now, thanks for sharing buddy.